A celebration of the many tonalities in wood. 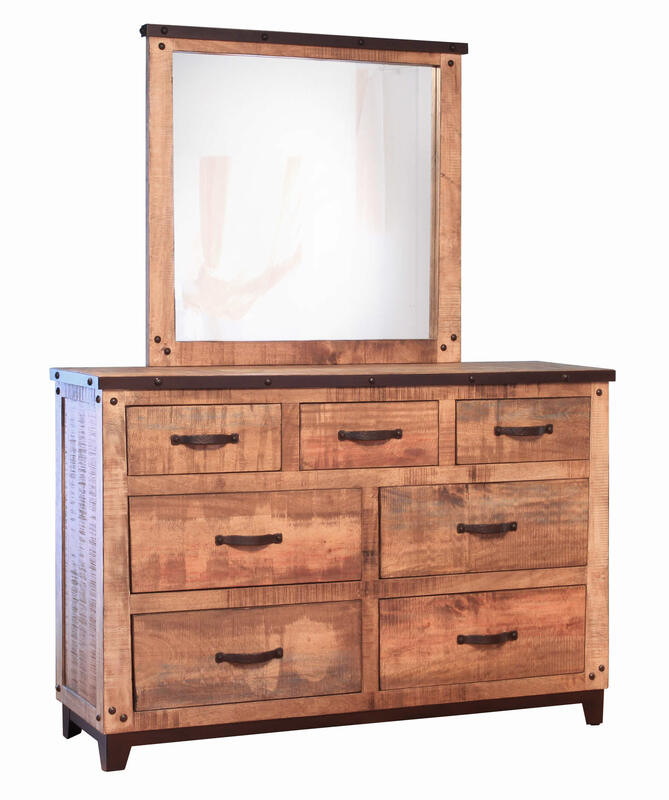 Hand made in Mexico from solid mango wood planks. 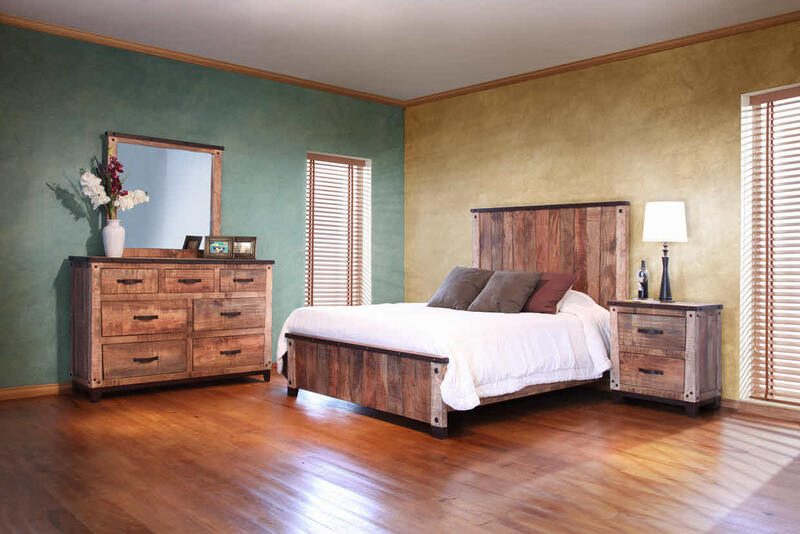 Add panache to your bedroom with this wonderful rustic contemporary bedroom suite. A celebration of the many tonalities in wood. Hand made in Mexico from solid mango wood planks, this bedroom ensemble features hacienda-type hand forged iron accents and a smooth, lovely distressed finish. 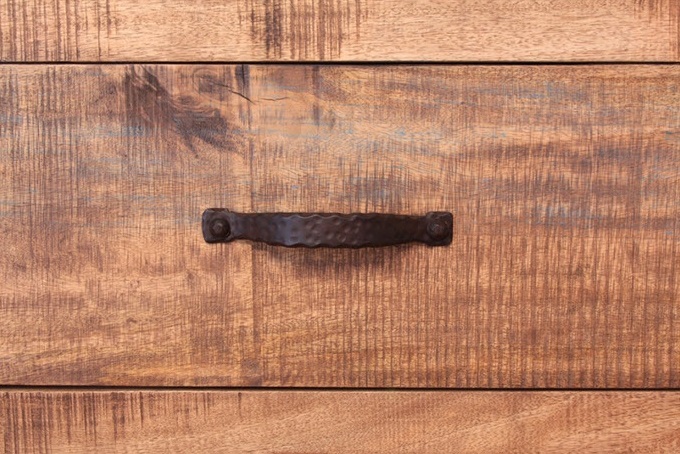 Beautifully constructed, solid and sturdy pieces evocative of times at the beach, a room of your own, and the very "hip" rustic contemporary aesthetic. Multiple protective varnishes, light washes of color and a finish so wonderful to touch that, frankly, the pictures barely do it justice. Mirror and mirror frame not included. Mirror frame available on request. 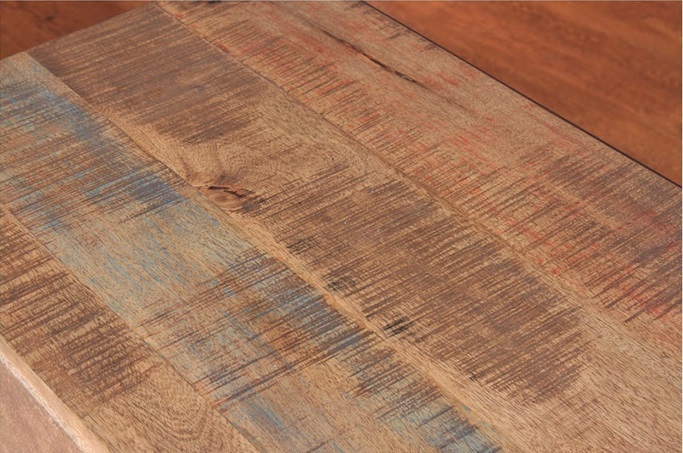 A celebration of the many tonalities in wood. Hand made in Mexico from solid mango wood planks. 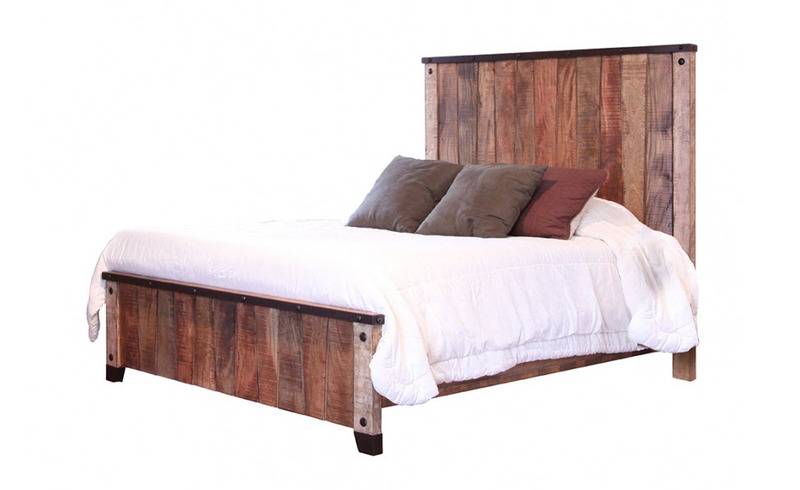 Add panache to your bedroom with this wonderful rustic contemporary bed. 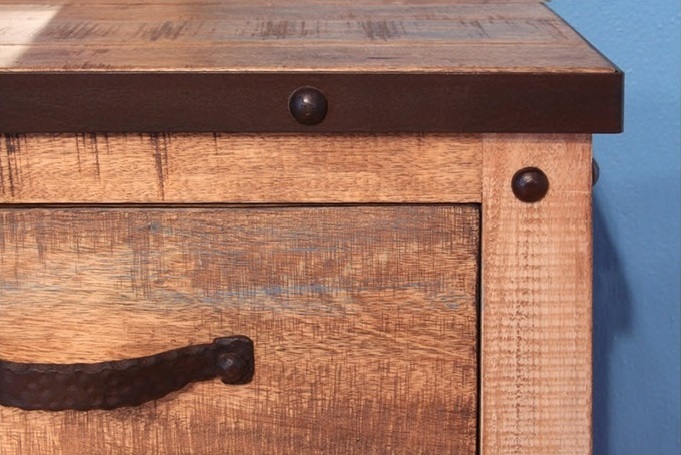 Let's face it: your bedroom dresser is a repository for precious cargo. 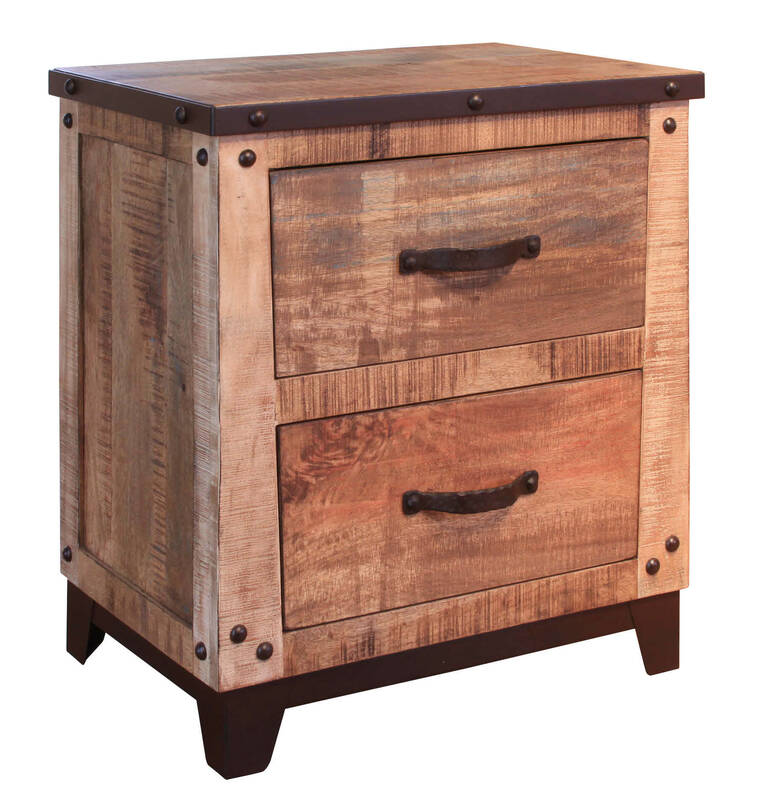 Our beach cottage dresser will delight you.